Paris France Antique Rugs - Affectionately known as the city of light, Paris is home to a large number of dedicated Nazmiyal customers who come to us for our unmatched selection of antique carpets, our superior customer service and our commitment to customer satisfaction, which is backed by a complete guarantee. For more than 30 years, we've welcomed international buyers and shoppers from Paris and throughout the Ile-de-France region. Over the past three decades, we've had the privilege of working with interior designers and distinguished homeowners in Neuilly-sur-Seine and arrondissements throughout the Paris metropolitan area. 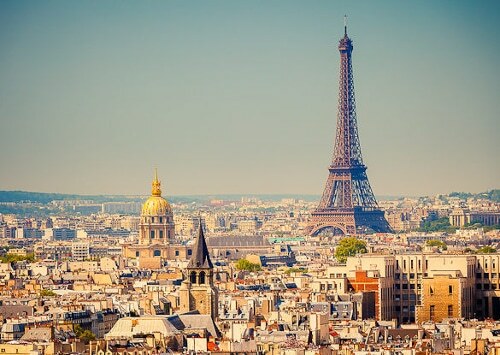 With its love of art, architecture and culture that are proudly displayed in the Louvre, the Eiffel Tower and the Musee d'Orsay, Paris is home to our ideal customer base, and it's our privilege to serve clients throughout France. Nazmiyal is proud to be the Paris antique oriental rug source. From antique tapestries commissioned by Louis XIV to modern art carpets designed by great artists who called Paris home, our immense catalog includes a tremendous variety of European and Parisian pieces as well as antique Persian area rugs, Chinese carpets and silk rugs from India and the Far East. Our experienced antique carpet buyers search the world over to locate fine, rare and extraordinarily antique decorative carpets and textiles from all eras and regions. Our collection of French carpets alone spans several centuries and many distinctive styles. We are pleased to present Paris residents and French shoppers with an unrivaled selection of domestic carpets and textiles, including Savonnerie rugs, neoclassical Aubusson carpets, stylish art deco rugs and 20th century art carpets featuring works from Miro, Picasso, Jean Lurcat and other great European artists. As a leader in the international carpet world, it's our duty to assure your total satisfaction. Providing exceptional products at a fair value is our primary goal. We promise to stand behind our value-first philosophy and commitment to satisfaction by offering two comprehensive guarantees. One guarantee ensures that you receive the fairest market price when compared to items of a similar age, condition and origin. The other guarantees your total satisfaction. It's our policy to offer every client a chance to see their newly purchased carpet in its intended setting. Our exclusive three-day tryout period gives customers the option to see the rug in their home for up to 72 hours. If you aren't satisfied for any reason, you can arrange to return the item for the full refund. Our team of professional carpet experts is here to work with you throughout the rug-buying process. An expert is always available to answer questions, provide additional information and guide you through our immense online rug gallery, wherever you are across the globe. Our team will take the time to understand your unique requirements and do whatever it takes to give you the best shopping experience. View our collection today, or contact a Nazmiyal representative to see why we are the leading source for antique rugs in Paris and the European Union.